Last year, we worked with a wonderful couple who was planning a romantic wedding in the French countryside. What a dream! 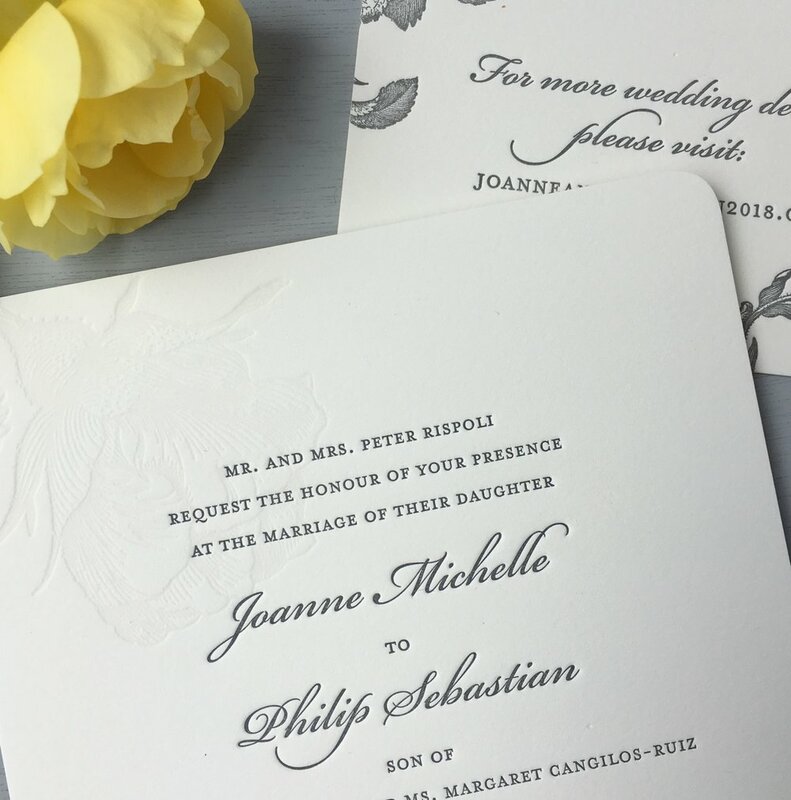 Ven and Adrian came to us with some lovely floral illustrations, so we designed the text around them and letterpress printed Save the Date cards and invitations. Eventually they hand painted elements of the floral drawings, so each card was truly unique. The couple's wedding was featured on Style Me Pretty and we are swooning over the beautiful details and scenery. You can read more and check out a gallery of their gorgeous wedding here. 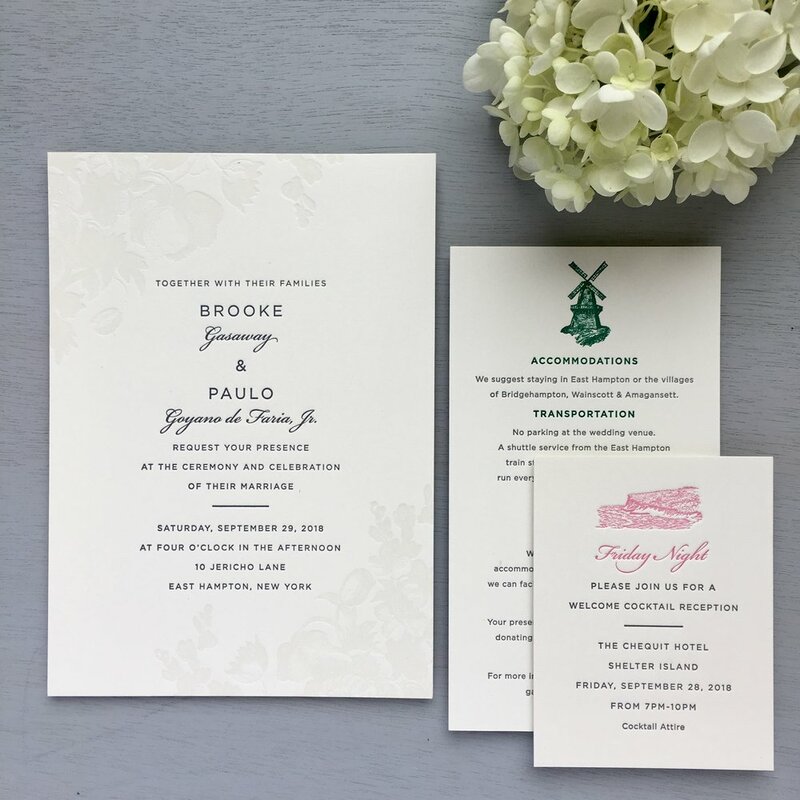 Thanks to Melissa who sent us these gorgeous photos of the stationery we printed for her wedding. 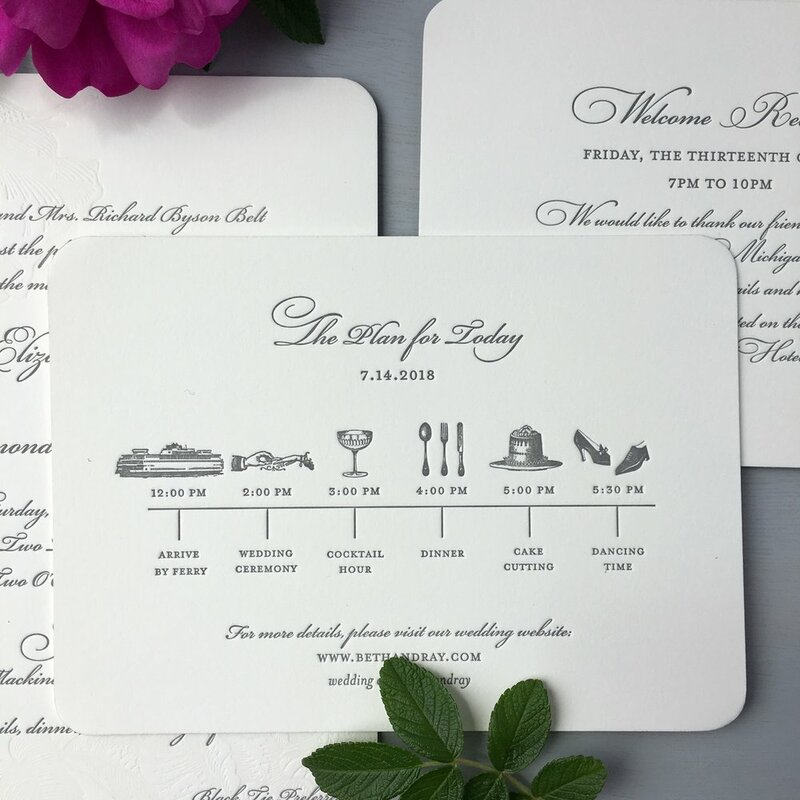 We especially like the personalized belly band around the invitations.